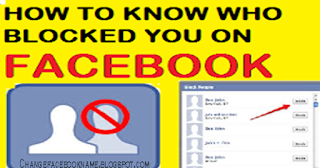 Recently, you noticed you are no longer seeing someone’s post on your news feed, you can no longer access the person’s profile nor can you send him/her a message on Facebook and you’re wondering what has happened. 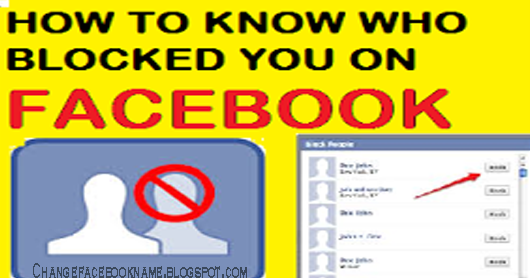 Then search for the person’s account among the search results, if you see the account and you are able to view the profile, then, you’ve not being blocked, maybe he/she just “unfriend” you but if you can’t find the person’s account, then maybe the person had deactivated his/her account or blocked you from viewing it. Search for the person’s name, if you can’t find it, then it means the person has deactivated the account but if it’s there, then it means you have been blocked by such person. This only works if you and the person you think might have blocked you have sent each other a message at least once. But in order to avoid guessing wrong and misinterpretation, you can just ask a mutual friend directly if he/she is still very much active on Facebook or better still, you can confront the individual directly to get the most accurate answer.